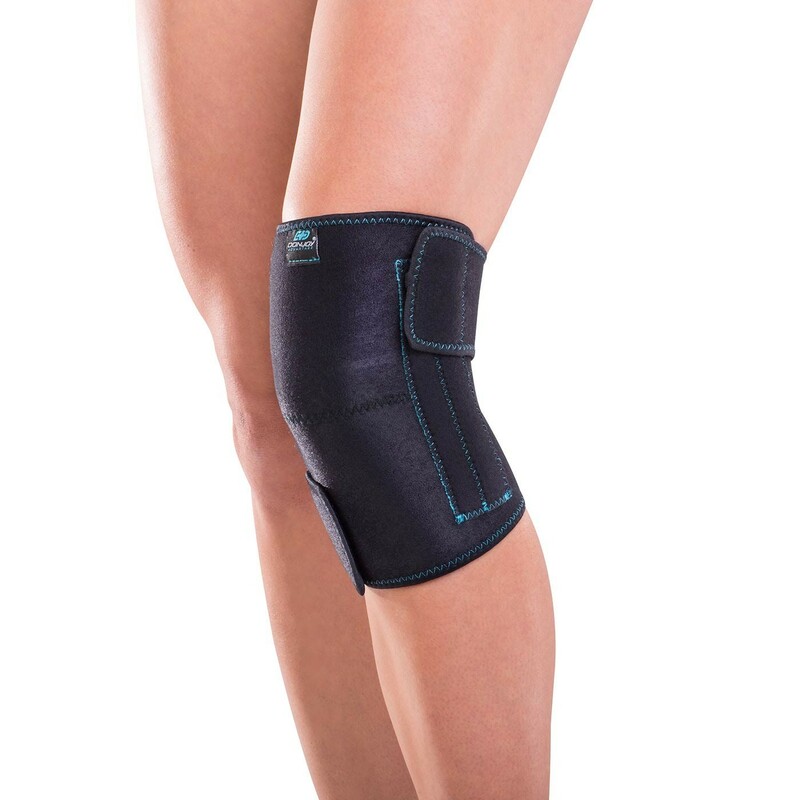 Adjustable, lightweight knee wrap with stays for moderate support. 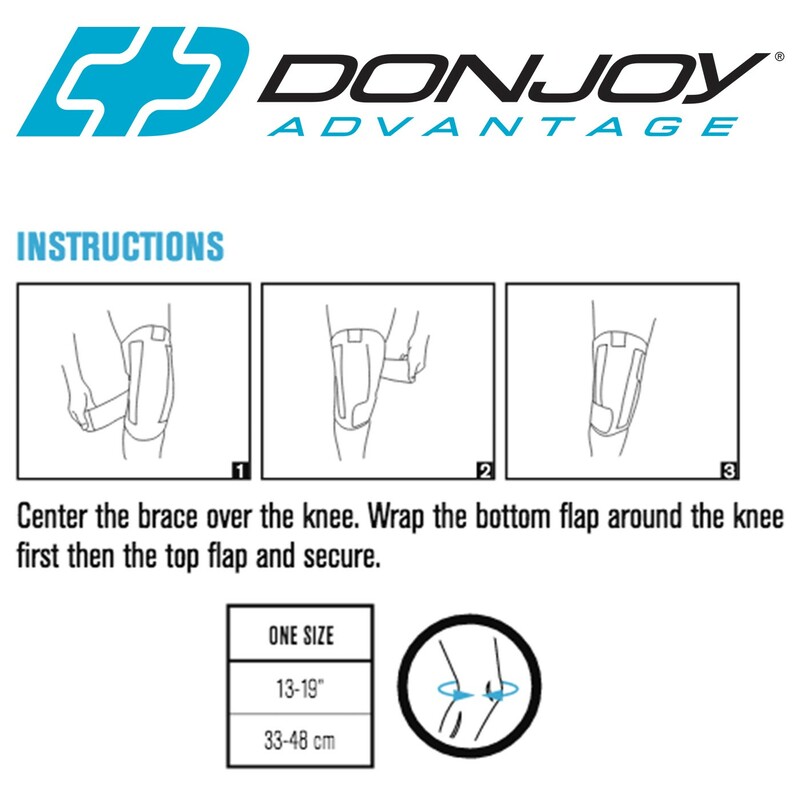 The DonJoy Advantage Knee Wrap with Stays is an adjustable, neoprene brace that delivers comfort, breathability and compression. 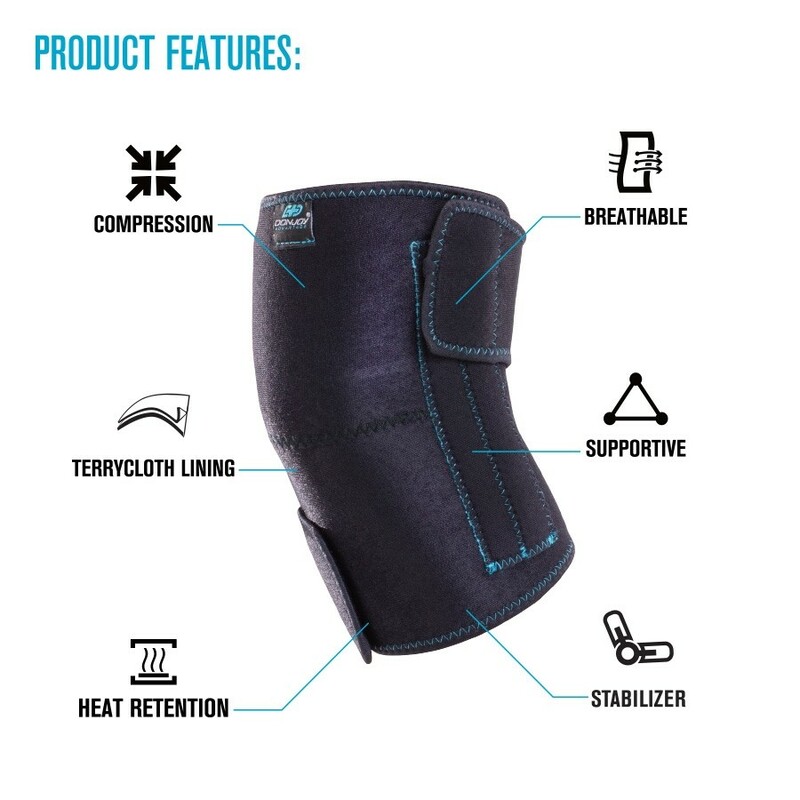 Constructed with dual flexible spiral stays, this brace provides medial and lateral support-without limiting range of motion- and helping reduce knee pain associated to sprains, strains or arthritis. 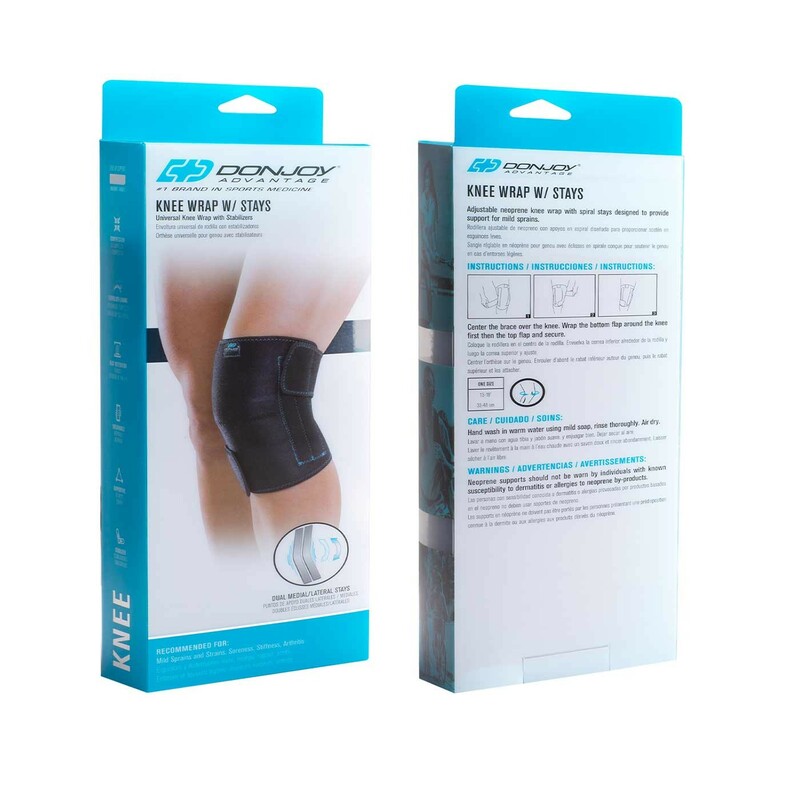 With the focus on comfort, the Knee Wrap with Stays has terrycloth lining, which is moisture-wicking, to relieve the knee of discomfort while delivering moderate stabilization. 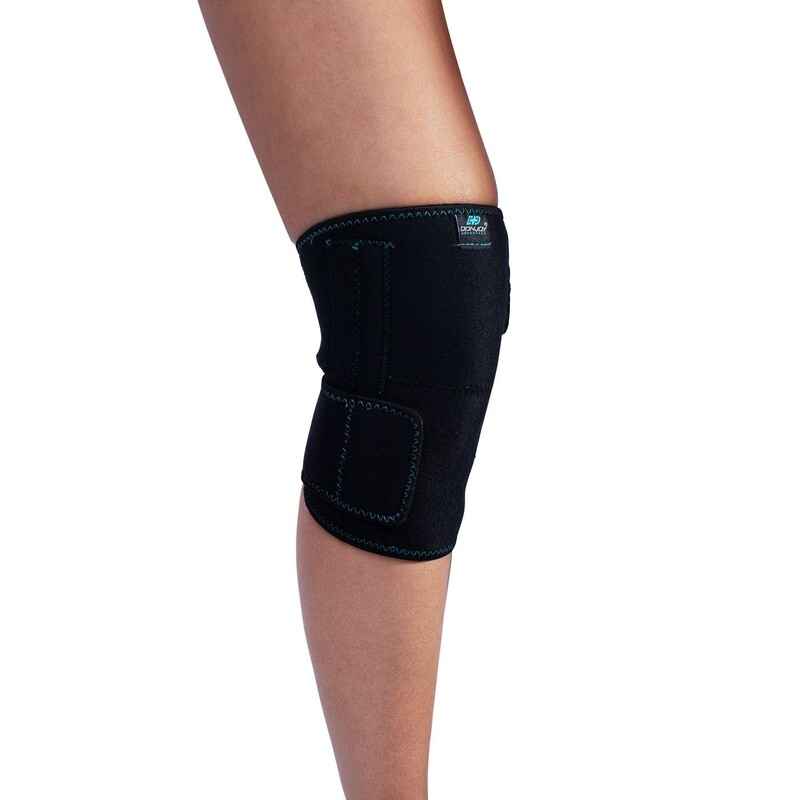 The Knee Wrap with Stays can be worn on the left or right. Size is based on the circumference of the knee. Measure around the center of the knee cap. Gives good support of my damaged knee. I wear it over my jeans to walk comfortably with stability. The stays are a must for me. With out them, the brace always slides down.